The audition workshop is designed to give actors the “inside scoop” of auditions, as well as receive practical notes and audition techniques to assist them in having a positive audition experience. All participants should come with chosen song materials already memorized to be able to successfully workshop them. 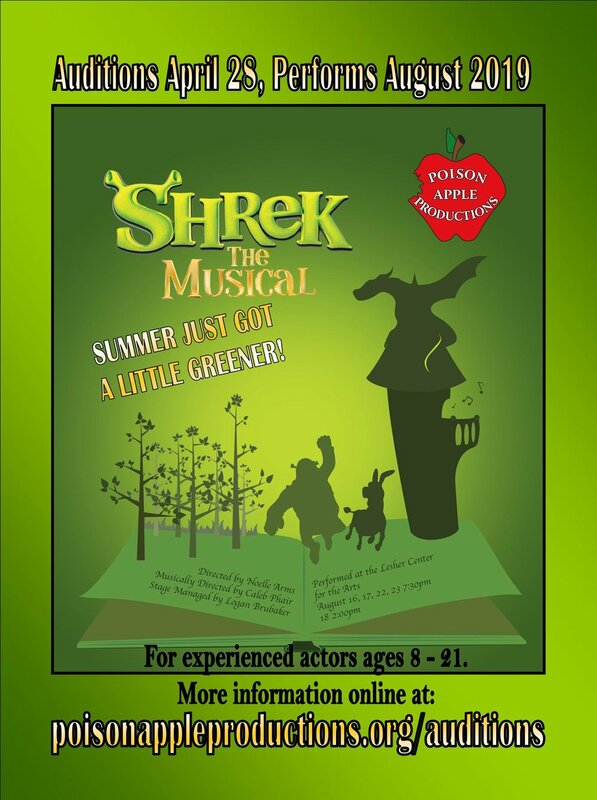 Please note that participation in the audition workshop does not guarantee being cast in Shrek the Musical. It promises to prepare auditioners for this, and future auditions, but no workshop can offer a guarantee of being cast in this, or any production. Our photographers include: Noelle Arms, Debra Jones, Emily Hills, Steve Whipple, and Kathy Weires. Copyright 2015. Poison Apple Productions.